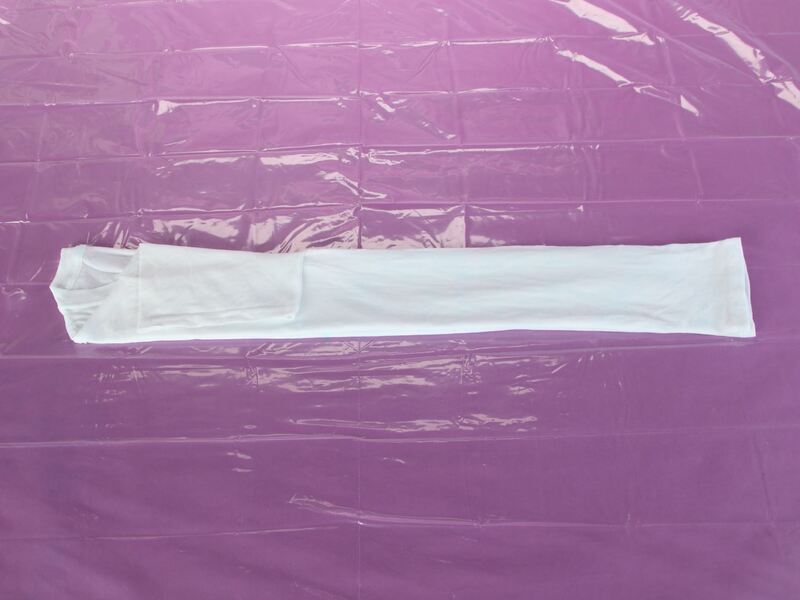 Fold damp shirt in half lengthwise. Fold upward half of shirt in half as shown, aligning along the center fold. Make sure to fold and smooth sleeve as well. 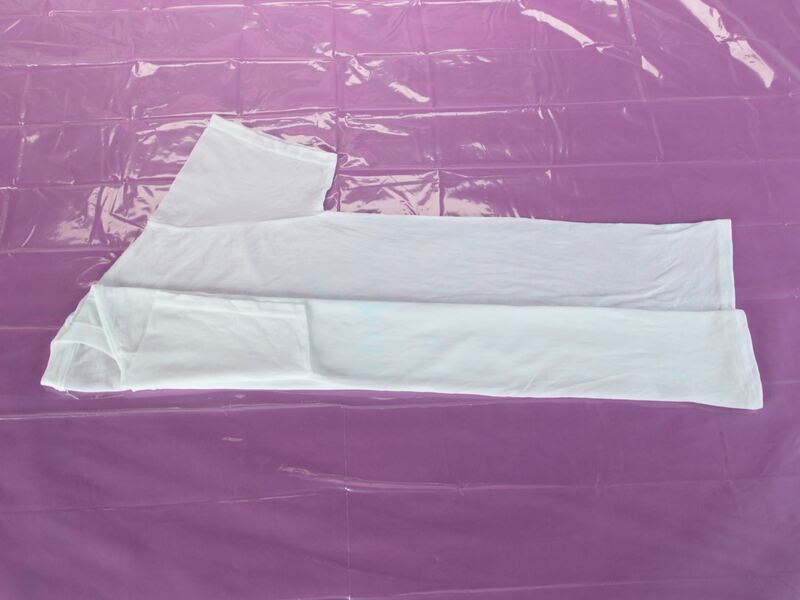 Carefully flip shirt over and repeat folding on the other side, creating quarters lengthwise. 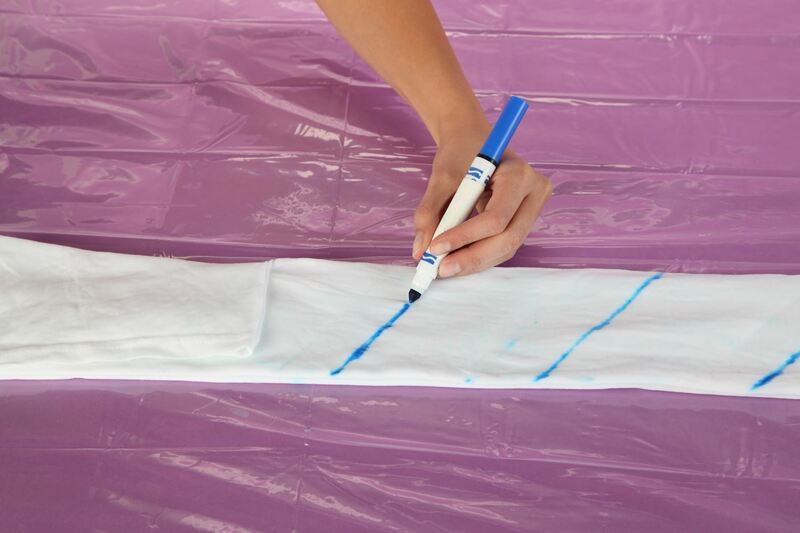 Use a washable marker to draw evenly spaced lines diagonally across folded shirt. 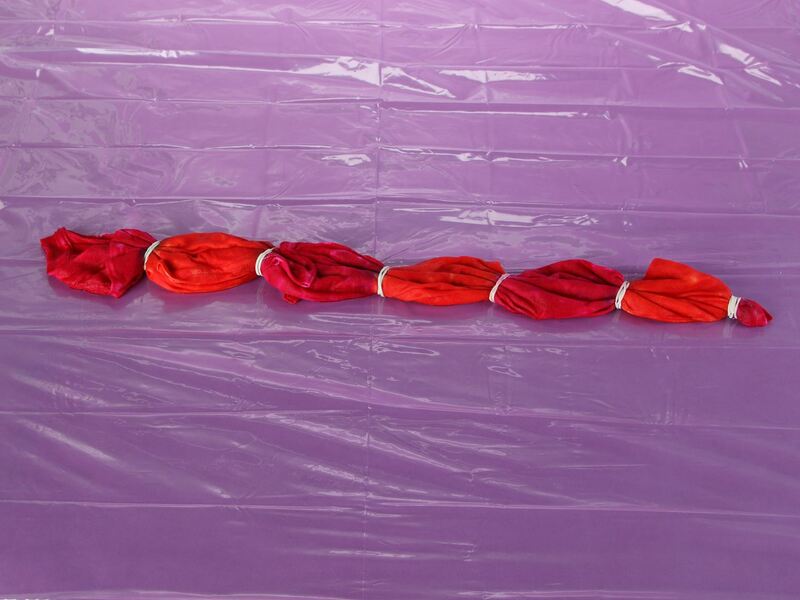 Wrap rubber bands tightly around shirt at each of the diagonal lines. 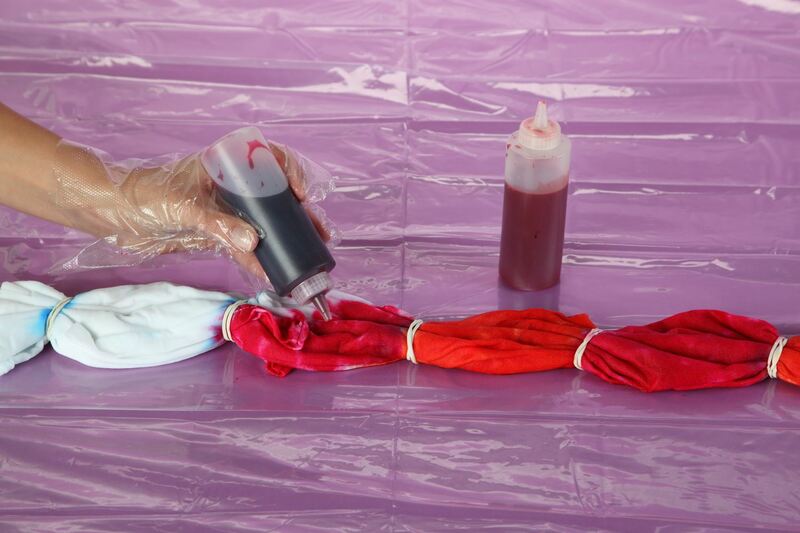 Apply first dye color to every other section of shirt. 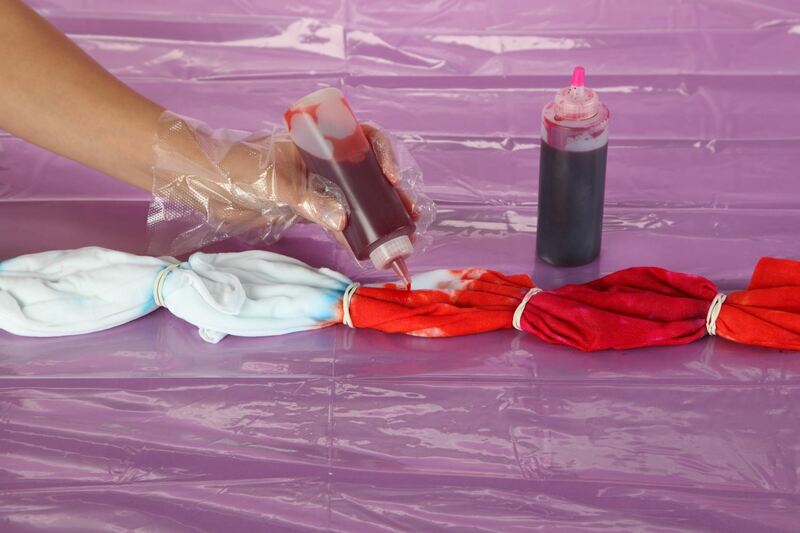 Apply second dye color to remaining sections. 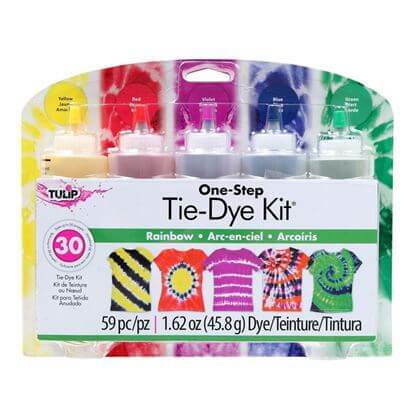 Let shirt set 6 to 8 hours or longer then remove rubber bands and launder according to dye instructions.